Valentin Huot (born 1 May 1929) is a former French racing cyclist. 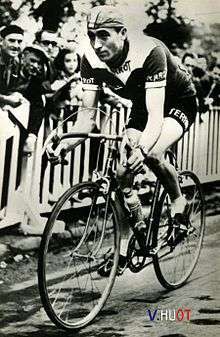 He won the French national road race title in 1957 and 1958. ↑ "Valentin Huot". ProCyclingStats. Retrieved 27 April 2014. ↑ "Valentin Huot". Cycling Archives. Retrieved 27 April 2014.